My special guest today is Dru Brents, CEO and Founder of PreApp 1003. So what is PreApp 1003? 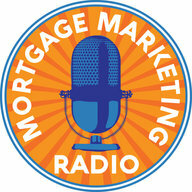 It’s a complete, cloud-based, text-initiated, mobile friendly, mortgage pre-qualification system. It’s completely personalized — branded to you — even with a video greeting. It’s simply the most efficient way for you, the loan officer, to pre-qualify a prospective borrower, all from a mobile device. PreApp 1003 helps from the point of referral, keeping your referral partners notified and updated as your clients complete the 1003, get pre-approvals and more. 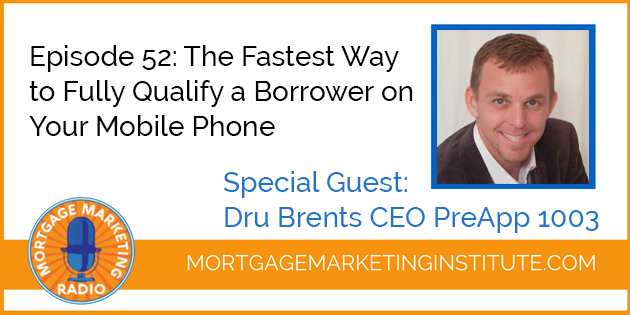 You’ll hear Dru talk about how PreApp 1003 helps from the point of referral, right? 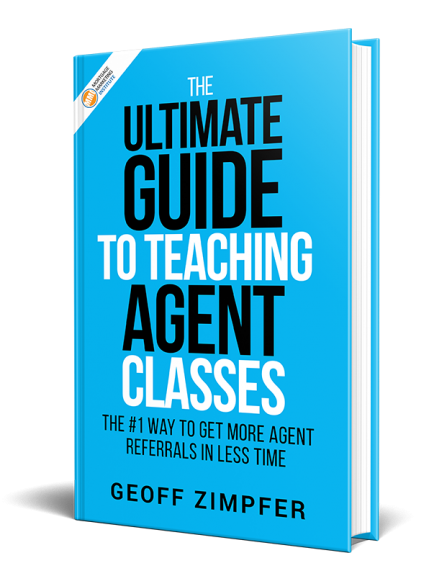 Even keeping your referral partners notified and updated as your clients complete the 1003, as you get pre-approvals, calculating ratios, funds to close, issuing closing costs worksheets, conditional pre-approval letters, and more. So if you’re at all interested in how do you create a more friendly 1003 mortgage experience, you got to listen to this episode.